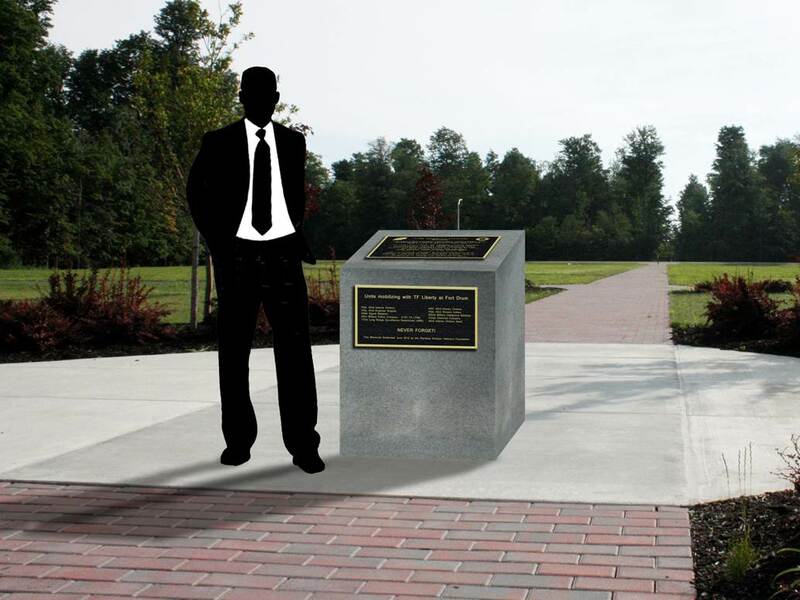 Recent Memorial Projects | Rainbow Division Veterans Memorial Foundation, Inc. The mobilization and deployment of the 42nd for the Iraq war was the first call up of a National Guard Division for combat since the Korean War. The 42nd was the first of only two NG Division called to duty for the Iraq or Afghanistan Wars. It was truly historic and added greatly to the Legacy of our beloved Division. The 42nd occupied a large portion of North Central Iraq (the size of West Virginia!) which was home to some 6.5 million Iraqi citizens. 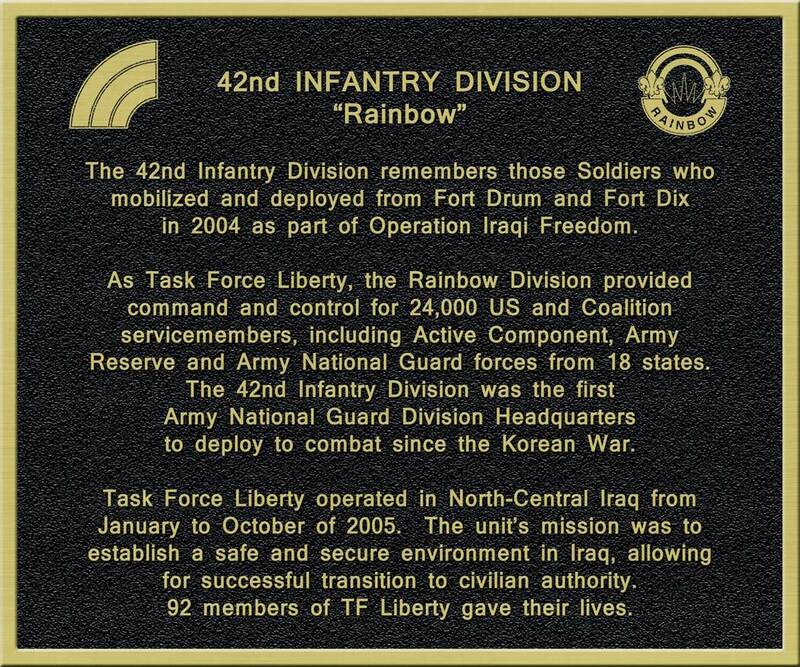 The 42nd was the third US Division Hq’s to occupy the palace complex in Sadaam Hussein’s home town of Tikrit and was The US Hq’s that turned it back to the Iraqi people. The 42nd Division was awarded the Meritorious Unit Citation for its outstanding performance. As you have read in the book “In Search of Rainbow Memorials” the WWI Memorial in Garden City, formerly Camp Mills, was established in 1941. In early 2017, the Rainbow Divisions Centennial year, the RDVF board of Trustees voted to support the Village of Garden City by paying 50% of the cost to restore the monument. In honor of the Divisions Centennial year the RDVF Board of Trustees approved the purchase of an historical timeline display. The timeline is featured in the window of the RDVF Heritage room located at the 42nd Division Headquarters, Glenmore Road, Troy NY. The timeline begins with the establishment of the 42nd Division on August 14, 1917 and concludes with the 100 year Ceremony at Garden City LI NY on August 12, 2017. Various dates along the timeline describe special events in the Divisions History as well as the Rainbow Division Veterans Association and Rainbow Division Veterans Foundation.